For nearly fifteen years Stan has been quietly formulating a special racing version of Stans' legendary sealant for many of cycling's most successful teams. Working with athletes who push themselves and their tubeless systems to the absolute limit, Stans have developed a proprietary sealant formula with close to twice the amount of their standard sealing crystals plus their special 'XL' crystals capable of sealing even larger punctures. 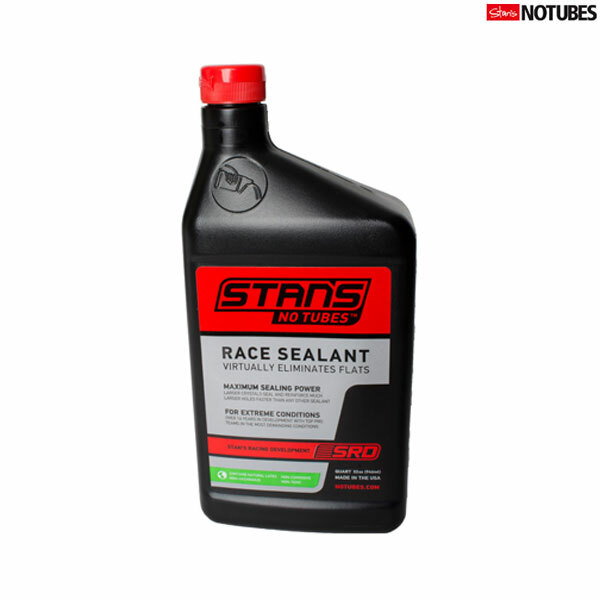 Stan's Race Sealant's combination of large and smaller crystals interlock to form a lattice work that not only seals but strengthens and reinforces the area of the puncture, allowing for an entirely new level of sealing performance. Stans are now making their Race Sealant available to riders everywhere. Stan's Race Sealant is only available by the quart.